I began my work at home adventure about 5 years ago! It began answering questions for ChaCha and moved into call center work for LiveOps. After I had my second daughter, I found myself needing to find non-phone work I could do online at my own pace. My search quickly earned me the label as the ‘go to’ girl for information about work from home jobs which led me to starting a blog. Work at Home Adventures turned THREE years old this month!! Now I am fortunate enough to consider blogging my primary source of income. 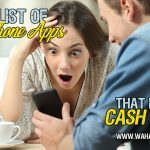 I love sharing all the ways I find to make money online. However, I also find it difficult to share much about my current gig as a blogger. Sharing my income as a blogger has been something I have wanted to do for a long time. I think it would be highly motivational for anyone who is considering this method of “passive” income. This isn’t a way to boast or brag– this is a way to give you a reality of how you really can make money as a blogger. In a sense, it is completely pointless for me to share my path to blogging success. Most of the keys to why I can call blogging my primary work at home job is because of random acts of luck, or rather the Grace of God. Every blogger has their own story, their own lucky moments, their own methods and ways of thinking- all of which make each and every successful blogger story completely unique. I will share the details of how WAHAdventures and my blogging career began and evolved. Then you will see several other bloggers share some stats of their blogs for reference. I started blogging on a free platform called blogger in June of 2010. I fumbled my way through it all, having no clue what I was doing- I just did. I shared links to my blog in a forum and on facebook. I was so excited when I started getting 100 visitors in a day! In December of 2010 I felt ready for the big leagues and began spending $10 a month with hosting services through Hostgator so I could use the WordPress platform. As I had been doing my online research for work at home jobs I learned more and more about the online hangouts of fellow work at home-ers. Socializing and being a part of the online work at home community became extremely important to me in growing Work at Home Adventures. 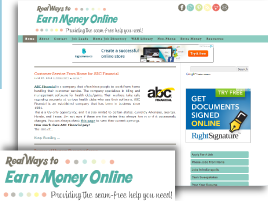 In early spring of 2011 I received my first $100 earned from ads appearing on my blog!! I was so excited to have something to show for all my work. I had many hours in a ‘hobby’ that was beginning to pay off! I continued blogging here not because I was making money but because I enjoyed it. I loved the satisfaction of knowing I was helping other people. There have been MANY MANY MANY times I almost quit blogging. I have always put around 10-20 hours a week into this site. It took me two whole years to really see a good return on my invested time. I am so glad I didn’t give up and am now able to reap the rewards of time well spent. 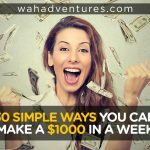 WAHAdventures.com is currently averaging $1800-2000 a month. I also run several other sites and do web design projects on the side. Blogging and web design are my primary source of income. Ads- there are several around the site in various (strategic) places. In-Text Links- Similar to ads, companies like Infolinks turn text into advertising. Affiliate Links- I have learned that many products and services I use myself have affiliate links that can earn me money for sharing them with friends. I reached out to other bloggers who make at least $1000 a month to help out with this post. Keys to Success: I really work hard at marketing myself and building relationships. 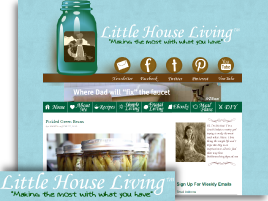 Blog Subject: Simple Living, Modern Homesteading, From Scratch Recipes, and More! Keys to Success: Hard work, being persistent. Taking time to learn everything there is about blogging and continuing that education daily. Being open and honest in my blogging relationships. Blog Subject: I share free crochet patterns and inspiration for crochet art. Keys to Success: I love crochet, I have an amazing sister who helps me with all the technical stuff, and I have the strive to stay home with my daughter. Revenue Methods: Banner ads and affiliates primarily. I have sold ad space but that’s rare. Sponsored posts have also happened, but are rare. Keys to Success: I did not give up, not even when I was earning less than one dollar a month, and I had a genuine interest in my subject matter. I would have researched work from home with or without the blog since I was actively looking for it myself. Blogging was just a fun way for me to share that with people. A hobby that unexpectedly turned into my primary income stream. Also, I never stopped learning all I could about blogging. I did — and still do — try to learn all I can about how to create a great blog. It will always be a work in progress. Avg Monthly Expenses: $30/month for newsletter. We pay annually for the host. Hours Spent per Week on Blog: I have 3 other permanent writers and we have several contributors. So hours… probably around 15 for me alone. Keys to Success: NETWORKING!!! Knowing the right companies to reach out to, Social Media, Attending events. If you have been thinking about blogging and want to see if you can turn your passion into a passive income I highly recommend visiting Blogelina.com. You will find all the tools you need to learn how to start blogging and even how to make money. Blogelina is currently offering a class “How to REALLY make money blogging”. The course is only $5 and it comes with a full year of hosting!! That is a huge savings to get your blogging career started. Register now to reserve your seat in Blogelina’s class: “How to REALLY make money blogging”. Excellent post Miranda…I may have to check out Blogelina’s blog, I could use some suggestions on how to improve my blog and make more money from it, not to mention how to get more traffic to it. Great article and nice to see stats relative to income not necessarily the greatest factor in making money. We are very close to our first $1000 and I’m so excited and love blogging so much I now have 4 blogs I operate! Persistence and genuine passion for what you write I think is very key to success. Miranda, I’m so grateful for this post. It proves that with hard work, persistence, and an audience you can make this work as a mom. I look-up to your sister (stitch11/theyarnbox) and you because it was via you that I finally decided to stop spending most of time writing for others and utilize my blog more. I love Tanya’s blog (Blogelina) and her class. I can’t recommend her enough especially to anyone new to blogging. Thank you for this awesome post, Miranda! This is so motivating and shows that blogging CAN be a legitimate career if you persevere! I just visited your site and wow I am in looove with your style! Love the pictures, colors and design. Thank you – thank you for this post. It is so helpful. I am about 18 months into blogging and these are questions I have longed to have my hands on as I move forward. It is so helpful to get an idea of how I’m doing…if I’m on the right track…if there’s more I can be doing, etc. It’s just great to have this comparison and great information. Thanks to every blogger that participated!!! Great to be exposed to some other wonderful bloggers too. This is a great article about how to turn a blog or a series of blogs into a serious income. I actually remember your very first blog, Miranda. Yes, I have known you and your great work that long! It’s amazing to see how far you have come and how your blogs and your blogging skills have progressed as well. Thank you for writing this article! I recently started a mom blog that was merely for fun, but with increasing traffic, I’m thinking about working towards monetizing it. This is a great insight into real blogs and the business behind them! Monetizing your work will be very motivating! This is very inspiring, especially the points about stick-to-it-ness! I’ve started a few blogs in the past and didn’t give them enough effort. Now, I’ve started anew with a different mindset. I’m excited to hear the success these bloggers are having with their sites. 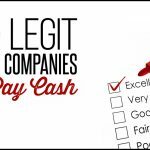 And, I really love the diverse ways you can earn money online. Yes. I almost quit this blog MANY times. I was on the fence because it was becoming a burden in some sense. But I didn’t want to give up on what I had already invested so much of my heart into. Now, I am just so glad I didn’t give up!! I feel freedom as a blogger- to not have to work steady hours. I feel truly independent. We even took a vacation this week, I scheduled posts while I was away and even scheduled them to share on Facebook and they were on auto-tweet. So, I took my vacation and didn’t notice a decrease in my traffic/earnings at all. This is JUST the post I have been looking for. I needed some sort of guidance and time frame so I know when and how I can reach my goals. I am so glad we could be encouragement. I say to definitely stick with it. You will eventually get everything you put into it. Oh, if only I made some decent money from my blog! I’m several years old, now, and I’m STILL waiting to hit the $100 mark in order for Google to send me a check for the ads on my site. *sigh* Hopefully, some day! Jean- I suggest checking ad placement suggestions for your site. 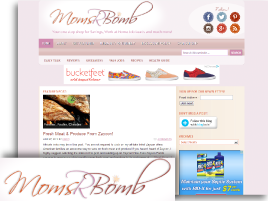 I have found that placing the large banner at the top, below the header- is the best placement for most bloggers- many of us see double if not triple our earnings after placing that ad there. You get 3 Adsense Ad blocks and 3 Adsense Link Units– use them! Thanks for sharing Jenna!! BTW I loooove that theme you are using! I have been waiting on an excuse to use it one day myself. earnings are dependent on so many factors. One thing to consider is your market. For instance, Google Ads in the niche of Yarn only pay about 10-50 cents for every click. 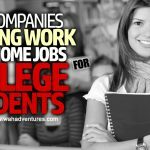 While ads in the Jobs and Business niche pay around 1-2 dollars for every click. 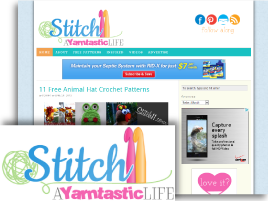 One of my sites, theyarnbox.com has twice the traffic I have here- it earns less because the ads just dont pay enough. Ad placement is huge as well. I have had clients who hired me to help them make the most with their ads/placement and in one months time go from averaging 300 to 600 dollars a month on Adsense. More recently I had a blogger go from seeing an average of 400 to now around 1500!! The only thing that changed on both of those sites was ad placement. Thanks for the tips and encouragement. I am still new to the game and slowly learning. Yes this is very very true! It took me a long time to find the right affiliates to work with here at WAHA. But once you find something that you click with- it becomes much easier! Great article! I have been blogging since January and am just now thinking about ways to get a few dollars back for all the hours I invest in the blog. I would love to be making any money at all but 1000s of dollars would be like a dream come true! I used to have a goal of 1000 a month. I thought I would never see the day. Keep at it! It will all pay off in the end. Thanks for sharing the wisdom! This is what I’m looking for. Very helpful. Great info. I’m not sure I’m in this to make money and make it a business, but I do love the adventure and the thrill of sharing! Any money would be a huge bonus. After doing this seriously for 2.5 months and getting around 100-200 visitors a day, I’m stoked! I’d have to say networking has been a huge plus 🙂 Thanks for the post! must be nice. The most I’ve ever made was 800$ on ONE campaign. That was 2 yrs ago. I gave up trying to make money off my blog. It wasn’t worth the stress of trying my hardest and getting nothing out of it. Plus my PR went from 4 to 0. Yay! I have been blogging since 2007 and have YET to figure this out! I would love some guidance on ad placement and ad sense. I used to make $50 a month from text ads, but they recently cancelled all their ads with me b/c of my host (squarespace)(I am unable to hide the sidebar on all pages). Are your services available? how much do you charge? Thanks so much for this post. It’s so nice to see someone write about this with such transparency. I had adsense then got rid of it since I wasn’t making anhything off it and was cluttering my site up. Is it worth pursuing again or do you think selling private ad space is a better focus? Thanks so much! Great article! Thank you so much for taking the time to really lay it out there for the rest of us! Thank you so much for this post and for sharing real numbers. I was interested in the monthly earnings, time the blog has been operating, number of visitors and especially the hours invested. I put a lot of time in and have wondered how my time compared to others. Thank you again. This is super encouraging! Thanks for sharing, although I’ve been blogging for almost a year and Im baffled that some bloggers broke their first $1000 in less than a year. Ad placement + networking, huh? I guess I have yet to crack the code on that. thanks so much for this insightful post! Thank you for sharing so much helpful information. I’m trying to revive my blog which I stepped away from. I visited Blogelina.com and signed up for the class. I’m excited to discover her tips and implement them on my blog. From one Meranda to another “Hello”! Thank you for this article. I too am just starting out and using the free Blogger platform. At what point does one decide that they are going to start paying for a site to start blogging especially when their current blog is not making any money yet. Is it possible to make a little money with a free Blogger account before you upgrade? Absolutely! I suggest signing up for Adsense and then placing some ads on your site. Blogger is a great platform and you can absolutely still make money. Thank you so much for posting this. I saw this at the exact right time. I really was feeling defeated and like I might be wasting my time with my blogs. I am so glad to see that you and others stuck with it and made it work. Thank for you for the inspiration and encouragement! This is amazing. I have been blogging for over a year and I am lucky if I am able to make $100 a month. I am so happy I found your site. I’ve been up and running about 6 months since creating my site. Just starting to earn. I have a long way to go in development so I am taking a self paced college course on e business. I don’t have natural technical skills and so they handle the tech part while I get to focus on my passions which are helping people with mentally cope with the ups and downs in life and that we all have them as well as I just love web design so for myself it is a perfect way to marry the two. It is challenging but in a great teaching way. I am learning soooo much I feel my brain getting more limber everyday lol. I have a question. I keep getting people asking me to write posts for them for free. Is it mean to say no? Or to say this is my price per post? Absolutely not! It is important to never cut yourself short and to know your worth. What I suggest is creating a separate page on your blog where you discuss your rates for advertising, guest post rules and your expectations for sponsored posts. This will make it easier for you to enforce your boundaries- as well as know where they are. I have to keep using this post for inspiration. The best thing for me is that I can remember when you and Anna were *this big* and is has been an amazing journey watching the two of you grow! I don’t have a blog yet, but would like to start soon. Please forgive the total newbie question, but do you only earn money through Adsense if someone actually clicks on the link/ad? Or do you get paid per page view? Thank you! There is a mix of ads that Google delivers to a blog, some do earn based on pageviews but most earnings are earned from visitors clicking through. Omg, I cancelled my B2C website and started a blog in hope of making a living online. And I was wondering the prospect of blogging. I’ve checked out the link for Blogelina’s online course. Your post says it’s $5.00 while Blogelina says it’s $25.00. Have i missed seeing a special pricing link? Thank you for the information you have shared in this post. It does look like the $5 deal is over :(. However, the $25 is still an awesome price as it also comes with a free year of hosting. She does have deals from time to time though that you can keep an eye out for too. This is a fantastic post! Thank you for sharing! It really shows that with enough dedication upfront, you can be on your way to earning passive income for your family. This is definitely helpful to me as I learn how to gain traffic and build a following to my brand new blog on design and working from home in your own creative career. I ail definitely be pinning your site for frequent visits! Thank you! Thbank you so much for this very information post! I’ve been co-blogging for the last couple of years and yes it take dedication and persistence. The information gathered here goes a long way. GREAT JOB and continue success! Hey Miranda! The SitsGirls.com just featured your article today on Facebook. I make a good income with blogging through affiliate programs making from $2500-$3500 a month. It took me years to make that much but staying dedicated really helps. I find it fascinating that every blogger has their own unique path when it comes to finding success. I think another key to success is to stick with a topic that you are sincerely passionate about and have some knowledge/experience with. It has to be something that you can stick with for a loooooong time, so make sure that you enjoy it, and BE CONSISTENT otherwise your readers will quickly lose interest. It is always very encouraging to see what other bloggers are doing. I am so very impressed with the numbers for these blogs! Thank you for this! As a blogger I look at others and wonder what they’re making, if they’re successful and how they go there. This has been very eye opening and informative, thank you to all of the blogs for your transparency and honesty! This is all great information. 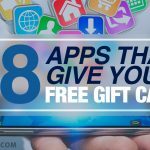 I was wondering if someone can explain what in text links is and affiliate marketing and what sites you use for these ads? love the post (just now seeing it) and great website/blog overall – wonder if you offer any opportunities to work together and share knowledge – would like to connect and see the options, thanks again for the great post and resource! Thank you SO much for this guide on earning income through blogging…I have been blogging since July, and I really do want to get to the point where I can gain income, but it’s so intimidating right now! This is super interesting! I’m always interested to hear what other bloggers are making. I’m a healthy living/natural living blogger and I have a lot less pages views but am making more income then several of these bloggers. Which just makes me think about the possibilities if I increase my page views! I also have a business selling Young Living essential oils (which can reach way past natural living blogging since so many people want to experience health these days) and that ends up being the bulk of a lot of my income lately. It took me awhile to find my niche, but once I really found my passions my income took off. Although I had been blogging and freelancing before I just started my current blog in August and it is really amazing how fast it has grown and how soon I started making my income. I find it SO important to find what you are passionate about and not just blog to make money, but love what you right about. AND, if you ever try to sell a product that it be something that you really do love and that you aren’t just trying to sell to your readers! Thanks for the comment Becky. I am currently planning out a follow up to this post. This June will mark 1 year since we all shared our income and I would like to revisit the bloggers listed as well as open up to more bloggers who are willing to share the juicy details of their earnings and traffic. If you would be interested in joining us in a few months- please let me know. You can message me here if you are interested. This article is awesome! My blog is over 2years old and I’m finally starting to see a decent income although not like those above. It’s been difficult to convince my his that this is more than just a hobby. What a inspirational article. 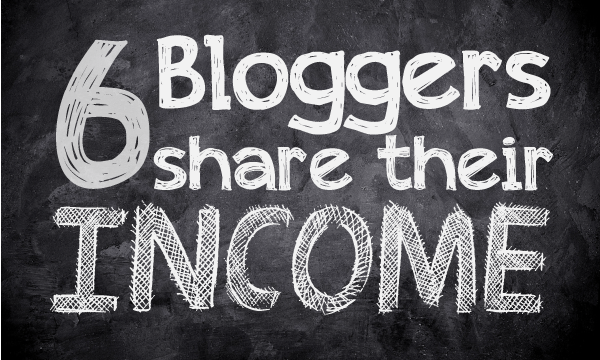 Thanks to these bloggers to share their income. When blogging, we don’t know whether some day we’ll reach the status of getting paid, but seeing that others make it, that just gives the strength to continue doing it! Great article. Passion, hard work and perseverance pays off in the long run. It took me 2 years to earn blogging income while still working for corporate America and now I’ve never looked back since blogging for 7 years come next month. I’m so blessed to have a business in blogging from the comfort of my own home and anywhere else for that matter due to smartphones and an Ipad. I absolutely LOVE it! Thanks for telling that bloggers can really make money. Because i had lost hope but now after reading this i give more time to blogging. Thank you for sharing this amazing post! It truly has give those of us wanting to follow our dreams great hope. I also like how you made sure to point out that for everyone it will be different. I think way too many people forget that. I really love how you gave God credit for your success. Many people are unable to recognize his hand in their success. Many more blessings to you. Thank you for this inspiring post. I’m just in the process of re-building my dusty old blog and getting ready to re-launch it with a new ad network and will also be dipping into affiliate marketing. I’ve done my homework, as well. I happened upon your post that way. I’ll be subscribing, too 🙂 YAY 🙂 Thanks again and happy blogging! Thank you for this wealth of information! Although blogging is a hobby, it is definitely a lot of work! Sometimes, it’s nice to be rewarded for all the hours you put in! Great post! That is more than a MNA earns legitimately per month here. Hi thanks for this post. Im happy to see that you can make a decent living. I love blogging so am launching a new blog int he new year in hopes that it can be my full time career within the next year or two. 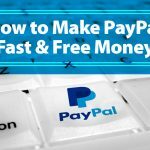 I wanted to know if you have to use a self-hosted site to make money, or will it be possible via the free wordpress website. It’s just that i’ve tried to do self-hosting and there was problems with security and hacking so I thought it was better to limit the stress and complications by going to the free wordpress platform. I’ve been hosted (aka, not w/a free platform) for 8 mths or so. Yet to make a dime from it. I’ve done guest posts, incl one that had over 97k shares on Facebook…but danged if I can figure out how to make my *own* site work for me. This article is very inspiring and just goes to show everyone that it takes time to do anything just like i wrote on my blog. You cant rush success or you will fail. Great article. I’d love to know more about how these bloggers generated great daily traffic counts in a relatively short amount of time. I am familiar with many ways to monetize, but I struggle to get enough traffic. Any tips on how to increase traffic? The perfectionist in me is making this sooo much harder than it has to be and I love the way you just show that if you go for it…you can do it! Thanks for sharing yours and also others stories – the links made for a great variety of super info. I’ll be back!!! Website is coming…stay tuned. I’m late to this post but enjoyed it all the same. Any chance of you re-visiting the participating bloggers with a second round of input in 2016? I tried to revisit it last year and would love to do it again. Unfortunately I had a hard time gathering bloggers up again. I may try again though, we shall see. These are the figures I like hearing about when it comes to blogging. I am having a very hard time earning money from by blogging but although I know my website is new, just under four months, it still discouraging sometimes.